With TransCel from Pixel Film Studios Final Cut Pro X users now have the ability simulate celluloid layered media transitions with a click of a mouse. Users have full control over camera position and rotation all within three dimensional space leaving the possibilities truly endless. With TransCel users have full customization over frame width, background color, frame color, inner color, text, and more. With TransCel users have total control over depth by adjusting each media’s highlights or shadows within 3D space. Users the ability to adjust position and angle within three dimension space creating infinite possibilities all with a click of a mouse all within Final Cut Pro X. With TransCel users have total control over the camera’s perspective from start to finish all with click of a mouse. Users can adjust the camera’s position and angle from start to finish all within three dimensional space. Users also have the ability to select a start and end speed method such as constant, ease in, ease out, ease both, accelerate, and decelerate. 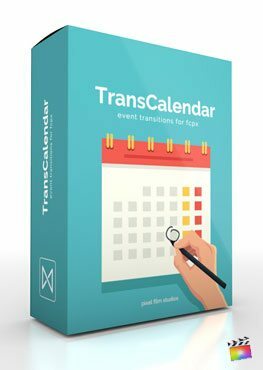 With TransCel no transition will ever look the same. TransCel was professionally designed to work seamlessly inside of Final Cut Pro X. 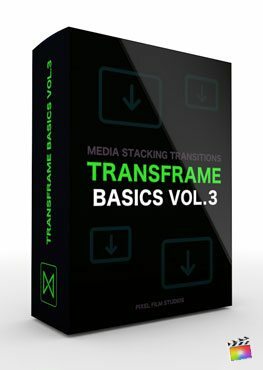 As a transition effect, each TransCel preset can be dragged and dropped onto media and previewed in real time. With the published parameters found in the FCPX inspector, users have the ability to make further adjustments with just a few clicks of a mouse. Where do I find TransCel? Once the installation is complete, you can find TransCel in the FCPX Transition library.